This Captain’s chair brings regal elegance to any room. 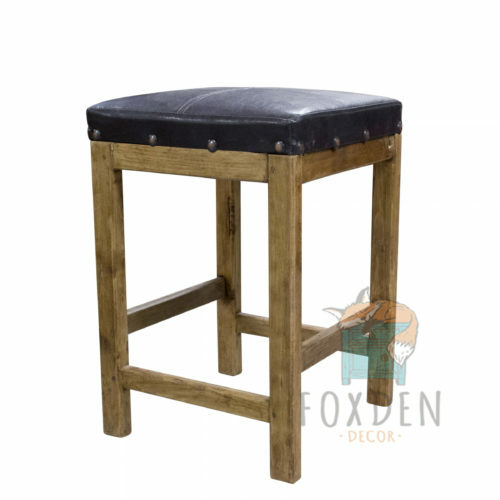 Being barstool height, this chair is perfect for breakfast bars or entertaining rooms. The chic black leather provides comfort and durability while the brad work that secures the leather provides a contemporary and industrial look that will complement modern décor and furniture. 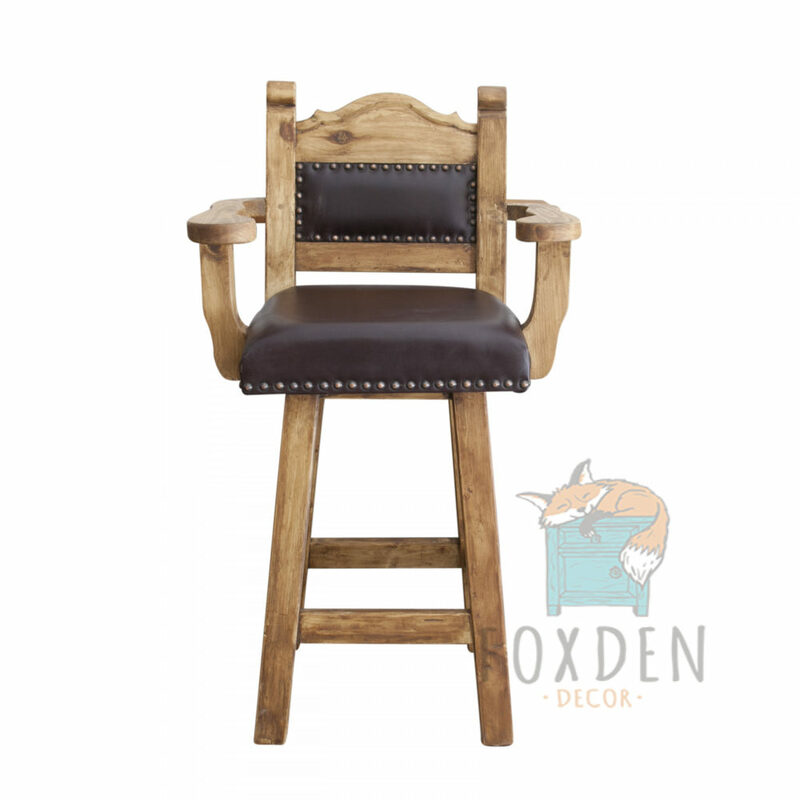 This chair is handcrafted with every detail and embellishment designed with the utmost care and quality. The stain used on the wood is the perfect shade for blending in with your existing interior design, or standing out if your room is designed in a lighter pallet. Anyone who sits in this chair will, without a doubt, enjoy relaxing in an ambiance of sophistication.